With the conclusion of the 2019 professional football season, we look back on the 2018 season with some humor. If you’re eating or drinking, you may want to stop that before you watch this. 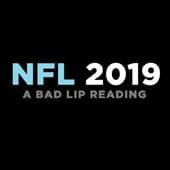 Enjoy a bad lip reading of the past professional football season!